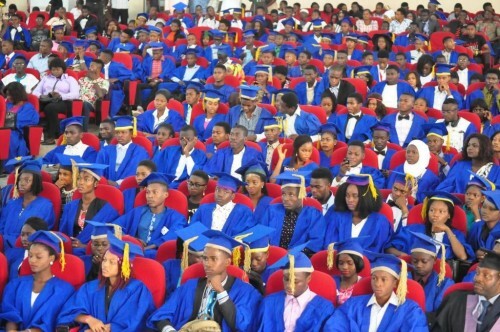 The management of the Federal University of Technology Akure (FUTA) has announced the Matriculation Ceremony for new students of the university for the 2018/2019 academic session. Date: Thursday, 5th April, 2019. All members of the FUTA Community, Students, Parents and the General Public are to note the change and be guided accordingly. The Vice-Chancellor of the Federal University of Technology, Akure (FUTA) Professor Joseph Adeola Fuwape has charged the 3505 Fresh students of the Institution to aim for academic excellence and contribute their quota towards rebranding the institution. He gave this admonition during the 35th FUTA matriculation ceremony. The Vice-Chancellor said “we are focused on our vision to promote technological advancement by providing conducive environment and scholarly activities which engender development of products that are technologically oriented, self-reliant and relevant to the society. Professor Fuwape said by their choice of FUTA, the new students have joined the Centre of Excellence with a soaring reputation that guarantees them a bright future. He said FUTA staff and students are proud of its unique standing and enviable reputation in teaching and research as a specialized university. The Vice Chancellor disclosed that in a recent survey conducted by the University, it was found that FUTA’s graduates were favourably rated by their employers in terms of competence, communication skills ICT proficiency and general human relation. Professor Fuwape congratulated the parents and also charged them to see to it that necessary bills are paid on time and follow up their wards by visiting and calling them regularly. Afterwards the Registrar, Mr Richard Arifalo, administered the matriculation oaths on the students while the matriculation register was signed to signal the conclusion of their registration formalities as bona fide students of the institution. This is to inform all fresh students of Federal University of Technology, Akure that the FUTA matriculation ceremony date for newly admitted students for the 2017/2018 session has been announced by the management of the institution. The Matriculation Ceremony for the 2017/18 academic session took place Thursday April 12, 2018 at the University Main Auditorium. It was mandatory for all fresh students to participate in the event and sign the matriculation register to conclude their registration formalities as bona fide students of the university.